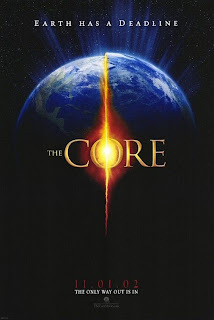 Tag line: "This Spring, Mankind's Greatest Threat Is Earth Itself"
2003’s The Core is a throwback to the sci-fi films of yesteryear, movies like First Men in the Moon and Fantastic Voyage, where probability and scientific fact took a back seat to entertainment. Following a number of global disasters, ranging from communication blackouts to the sun’s deadly radiation slipping through the atmosphere, geologist Dr. Joshua Keyes (Aaron Eckhart) is called in to investigate, and what he finds is the world is dying. More specifically, the earth’s core has stopped spinning, which will result in the total annihilation of our planet in precisely one year’s time. Not willing to sit back and allow this to happen, Keyes teams up with Dr. Edward Brazzleton (Delroy Lindo), who has been working on a special ship that can drill down into the earth. The plan is to burrow all the way to the planet’s core and, with the help of a few nuclear bombs, get it rotating again. Piloted by Commander Robert Iverson (Brice Greenwood) and Maj. Rebecca Childs (Hilary Swank), the ship, nicknamed Virgil, sets off on what most believe is both a suicide mission, and the only hope there is of saving the world. 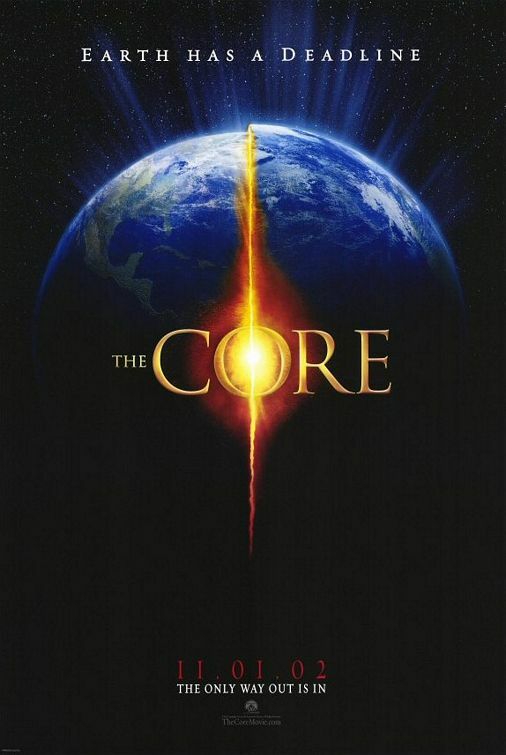 This synopsis tells you all you need to know about the ‘science’ behind The Core, which is clearly ludicrous (even Dr. Keyes says at one point that the core of the earth is the size of Mars, which has me wondering how nuclear bombs, regardless of how many there are, could have any effect on it whatsoever). But then, I didn’t go into The Core expecting a science lesson; I was looking for a fun movie. Sure, the characters are pretty standard (there’s even a self-serving official, played by Stanley Tucci, who functions as the film’s heavy), but the various scenes of destruction, which included everything from the sun’s red-hot rays melting San Francisco’s Golden Gate Bridge to an electrical storm so powerful it destroys the Coliseum in Rome, more than made up for the movie’s shortcomings. It’s these moments that make The Core worth seeing, and help us forget the fact that, scientifically speaking, it doesn’t know what the hell it's talking about. The late ‘90s and early ‘00s saw the release of a number of far-fetched sci-fi disaster films, from Armageddon and Volcano to The Day After Tomorrow and 2012. Yet even by their standards, The Core is fairly outlandish. And that’s why I had such a blast watching it!